Baijayanti is 8 years old. When she was 5, her mother was trafficked to Rajasthan and sold as a prostitute. This is a common occurrence in Guwahati where there are many vulnerable people living dangerous lives in make-shift homes by the railway lines. After Baijayanti’s mother went missing, her father married again so she went to live with her grandmother, a very poor woman, working as a domestic worker. Her Grandmother heard about the Brahmaputra Home for Railway Children, funded and built by the Trust, and registered Baijayanti here. She is now studying in Class 2 at the nearby school and is very happy with her friends and new home. We need your help to better the future of many others like Baijayanti. Sunu’s father Mantu worked as a labourer, earning a meagre living. When Mantu was diagnosed with cancer all the family’s wages were spent on his treatment. He died two months after the diagnosis. 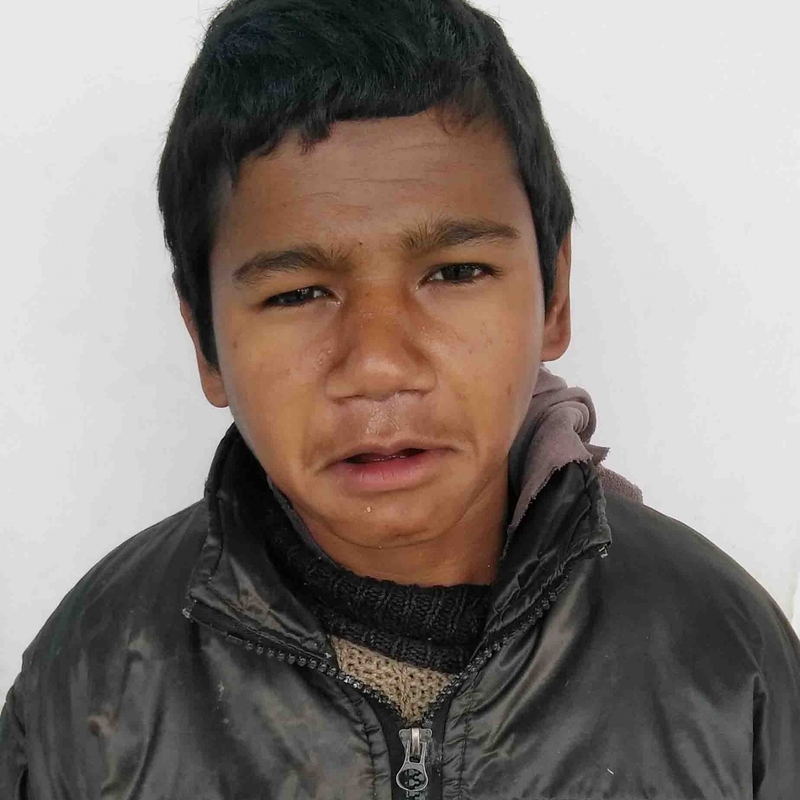 His mother then abandoned Sunu and his sister Dishu, leaving them with relatives until they were invited to live at the Brahmaputra Home for Railway Children in Guwahati. 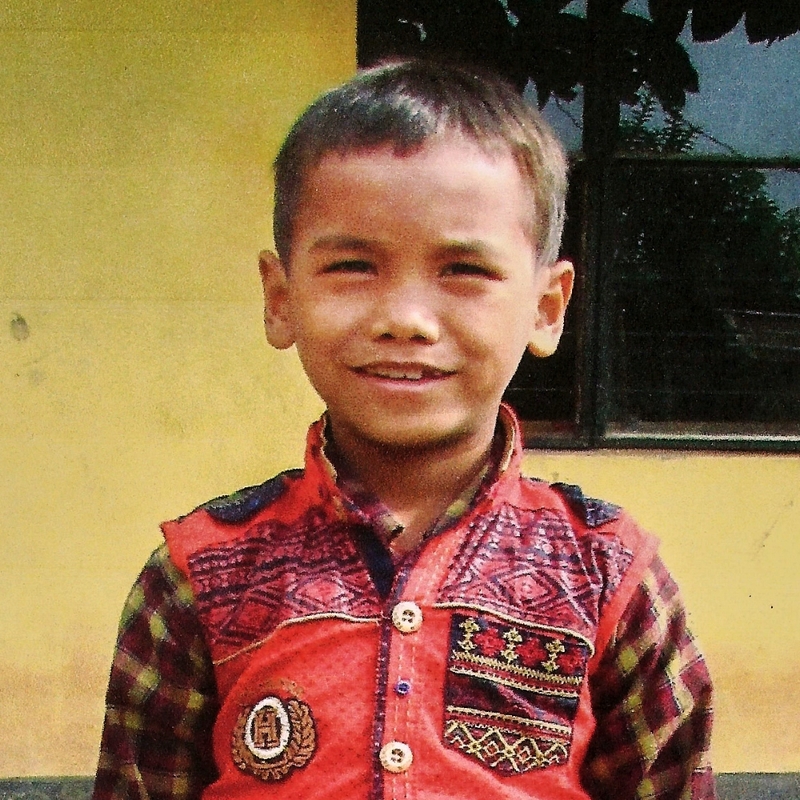 Sunu and his sister now have food and a home and are being educated in the nearby school. He is finally beginning to enjoy his childhood. Support for Sunu’s upkeep will allow him to sustain his childhood, education and lead to a better life that he and many others like him deserve. There is relatively little support for people with special needs in India and none whatsoever in Ladakh until recently. People with physical or mental concerns are often treated as a burden to their families who can’t afford to support them. Bharti has no arms much below the elbows. Her hands were blown off by dynamite planted to scare off the wild boar near her home. John met Bharti when she was 9 and decided then and there to build a home for children with disabilities. Bharti is a bright girl and would otherwise have had no future. Now she is educated and accommodated at the JSR Special Needs Home, School and Skills Centre. Bharti is top of the class and can also write and sew! There are 63 children at the JSR Home and School and many more like her who are in desperate need of help and something to hope for. Mili was sent to JSR by the Social Welfare Department through the Police who found her wondering at bank of River Ganga at Haridwar. It is thought her parents left her at Haridwar because of her mental illness and severe disability. When she first arrived at JSR, her behaviour was severely aggressive, she tore all her clothes and could not self-care. Now Mili is receiving behavioural therapy and developing daily life skills at JSR. Mili’s health and social skills have improved so much since her arrival at JSR where she is also safe, cared for and loved. Help us to help more disadvantaged children like Mili. Balveer has mental special needs. His father died when he was 8. Since then his mother has been looking after her 4 children, who all have mental special needs and behavioural problems. She brought them to the JSR School desperate for help. As she is homeless, Balveer’s mother has been living and working as a caretaker at JSR with her other children. The children and their mother are very happy to be safe and finally receive the education and care that they need at JSR. Help us to continue to help Balveer and his family. Anukshia is 7. Her father is a ‘coolie’ worker and her mother works a school assistant. Her parents didn’t go to school and are desperate for her to receive an education in order to better her own future. This is despite the fact that her relatives still believe women should only grow up to live within four walls. Anukshia knows that times have changed and that all women should be educated. She says “I will break the old lie and prove that we are more than what we believe.” Anukshia attends Paravour Primary School funded by the Lotus Flower Trust. Please help many other girls like Anukshia who need financial support to complete their education. Naveen is 5 years old. When he was 3 his father had a stroke and became paralysed. His mother spent all their money on his treatment. She sold all her jewels and the small plot of land she owned to help save her husband who sadly died. With nothing to live on, Naveen and his mother went to live with his grandparents who work as ‘coolies’. They feel they are a burden as they all struggle to pay for basic needs. His mother wants Naveen to become educated so that he never has to depend on others in the future. He currently also attends the Paravour Primary School. Can you help support Naveen and his family to ensure that he and many others like him continue to receive an education? Kesang is from a very remote village on the Indo-Tibetan-Chinese border. Until recently he has been confined to his bed, lying flat all day. His mother heard about LFT’s Special Needs Centre at PAGIR (People’s Action Group for Inclusion and Rights) and brought him here. Since becoming involved at PAGIR, Kesang sits up to take part in the activities, helping his colleagues to count all the amazing products they make in the Recycling Workshop. Sadly Kesang’s mother recently died, but her family say she died happy in the knowledge that Kesang had at last found his ‘paradise’. PAGIR has given Kesang and many others purpose, dignity, friends and a safe place to stay. Help us to help many others like him. From Lamayuru in Ladakh, Jigmet is 35 years old. Her mother died whilst giving birth to her and so she was brought up by her grandmother. Her life has been painful due to a deformity in the knee and the difficulty of surviving in Ladakh with disabilities. We are told Jigmet thought about jumping in the river to take her own life but decided against the idea when she saw the devastating 2010 floods in Leh, as the water was too terrifying. She felt her life was hopeless nonetheless until she heard about PAGIR. Since visiting the Centre she has made many friends and is finally enjoying life. Help us to change the lives of many more users of our PAGIR Centre.